Cut the eggs in half and place the yolks in a bowl. Place the egg white halves on a tray. Combine the mayo and mustard and mash with a fork until smooth. Spoon into the egg white halves. 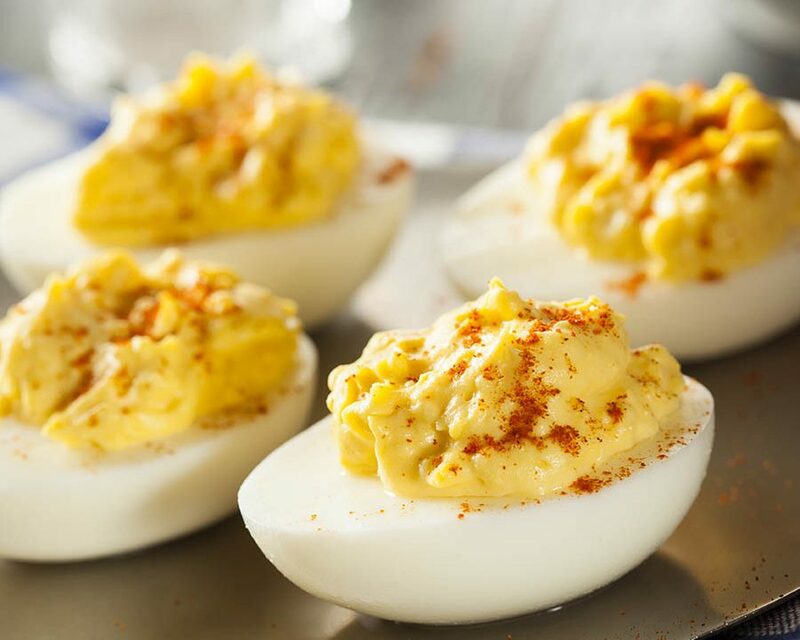 My favorite deviled eggs.. such a great snack too!